Drinking enough water daily will not only help you stay more active and focused but it can also provide benefits for your body and brain. A dehydrated body is directly linked to premature skin aging, the appearance of fine lines and wrinkles, as well as dilated pores and the uneven look of the skin. But drinking enough water could prove a difficult task, especially if you’re at work or always on the run. Thus, you’ll need a good water bottle to keep on your desk constantly to remind you to stay hydrated at all times. This cool and unique drinking gadget is available in six different colors and has a total capacity of 24 fluid ounces or approximately 720 ml of liquid. It features a vacuum insulation for maintaining the optimum temperature for a longer time. This way you can enjoy your favorite cold beverage for up to 20 hours. The push-button can be easily activated with just one hand so you can hydrate while running or exercising, without having to stop. The product is made of durable stainless steel both on the outside and on the inside and it also features a soft silicone grip for increased comfort when holding the thermos. The item is available in three different sizes, including one that can hold up to 750 ml of your favorite beverage. It also comes in numerous bright and pastel colors so you can pick the one that best matches your personality or your daily workout outfit. The water bottle features an autoseal button to eliminate leaks and spills so you can carry the product with you safely in your gym back. It is also designed with a drop down lid feature to ensure easy cleaning, as well as a protective spout cover that will lower the risk of the appearance of germs and dirt. This product is made of durable stainless steel and BPA/BPS-free materials, meaning it is safe to use and won’t jeopardize your health in the long term. Thanks to the unique vacuum insulation inside, your favorite beverages will stay cold for up to 24 hours or warm for up to 6 hours. Thus, you can take this bottle with you anywhere you go and enjoy your favorite coffee, tea or water at the perfect temperature during the summer or winter. 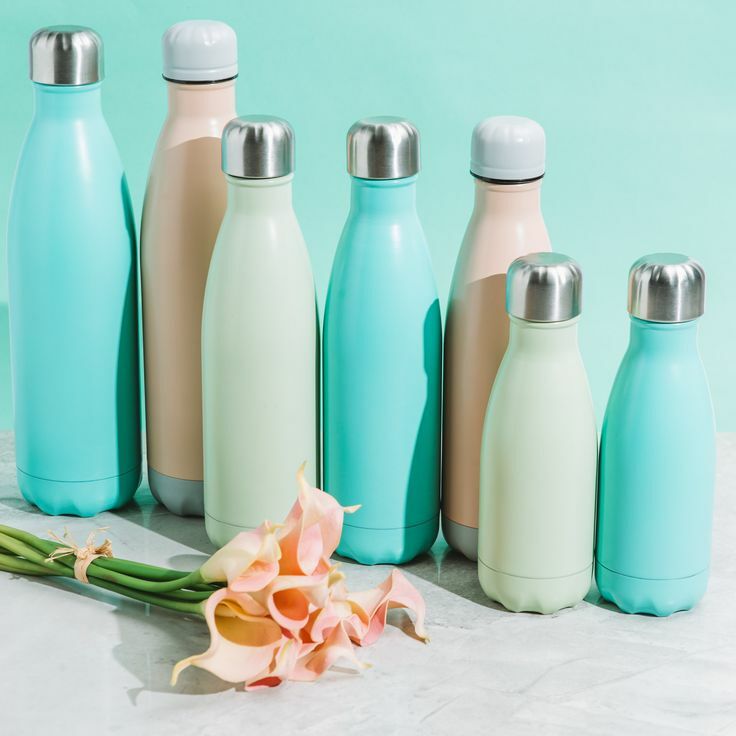 The water bottle is available in plenty of colors and, thanks to its sleek and elegant design, will compliment your daily workout or office outfit. This item is available in no less than 28 colors and patterns, so you can pick one for every day of the month. It was made using the best plastics and metals and it is BPA-free. The product is great for carrying your water or favorite beverage while at the office or at the gym and, thanks to its sleek design, will easily fit in your daily purse or gym bag. The product is resistant to impacts and shocks so it won’t break if you drop it to the floor. In addition, it features a unique leak-proof system to avoid spills so you can keep it next to your working desk or in your gym bag without worrying. Each bottle can carry up to 24 fluid ounces or 720 ml of your favorite energy drink, tea, coffee or water so you can stay hydrated no matter where you are. Thanks to the unique auto-seal technology, these bottles won’t leak or spill so they are safe to carry anywhere you go. They also come with a carry handle for easy transportation and, thanks to the ergonomic shape, you can easily grab them with only one hand. 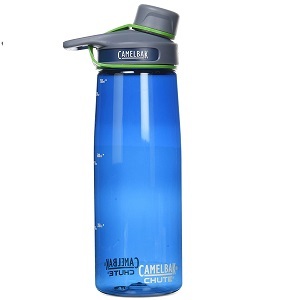 This large water bottle can hold up to 1 liter of your favorite beverage so it is perfect for carrying it with you while training, exercising or working. It is available in six cool clear color designs so you can pick the one best matching your personality. The angled spout will offer an ergonomic drinking interface so you can avoid spilling your favorite beverage all over you. Also, the spout cap snaps into the handle to avoid bothering you while drinking. The handle is specifically designed to provide a comfortable carrying with just two fingers, despite the bottle capacity of 1 liter. If you’re looking for a good kitchen gadget that you can take with you anywhere you go, the unique design of the S’Well water bottles will definitely catch your eyes. It is available in over one dozen amazing prints and designs so it’s more of a fashion statement than a regular water bottle. The product is made of durable and top-quality stainless steel that will keep your beverages warm for 12 hours or cold for 24 hours. Each bottle can hold up to 25 fluid ounces of your favorite drink so you can stay hydrated all day long. This water bottle is perfect for people with a busy and active lifestyle who prefer doing more than one thing at once. So, whether you’re talking on the phone, driving or going to your yoga class, the Pogo Tritan water bottle will become your favorite ally. It is available in seven different pastel and bright colors so it will match your daily outfit and mood. The 32-ounce capacity is perfect for thirsty people who want to sip on their favorite beverage cold or warm. The product also features a leak-proof shroud to keep your drinking surface covered whenever you’re not using it. This water bottle is available in numerous color combinations and cool designs. It is stain-free and odor-free, making it the perfect vessel for water. 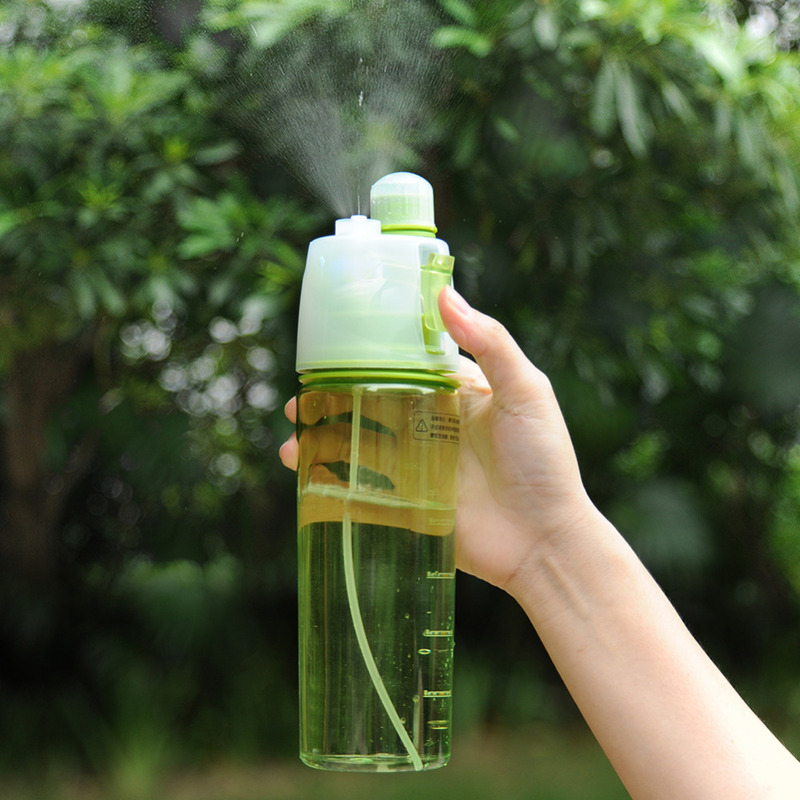 The product is made of natural materials and is BPA and PVC-free. It also features a grey protective silicone sleeve to protect your bottle from impact or shocks and prevent your water from spilling. The item’s unique and sporty design makes it perfect for athletes or active people who enjoy running or taking long walks while also drinking enough water. The 20-ounce capacity is perfect for taking the bottle with you anywhere you go or keep it on your desk as a constant reminder that you need to stay hydrated. The product is made of the finest glass and doesn’t contain any plastic or metal parts, meaning it will maintain the water’s fresh taste without altering its purity in time. The wide-mouth access is perfect for adding tea bags, ice cubes or even citrus slices to improve the taste of your beverage depending on your personal preferences. It comes with a protective silicone sleeve to provide improved durability and resistance to scratches, impacts, and shocks. In addition, the same silicone sleeve will offer a non-slip gripping surface so you can easily grab the water bottle with just one hand. The bottle has a total capacity of 22 ounces so it will quench your thirst after an intense workout. Our bodies contain 70% water, so what makes you think that you should live without it? That’s right; you shouldn’t! Most scientists and researchers agree with the fact that you should drink at least eight glasses of liquids a day to stay fully hydrated and properly flush out any toxins in your body. While we try our best to stay healthy and fit, water makes the whole process easier. To make it even more pleasant for you to stay hydrated and drink plenty of liquids, you can get cool water bottles to help you. However, we know how hard it is to choose the perfect one for sale because the market is overflowing with so many different styles and options to choose from these days. Not knowing where to start your research for finding the coolest bottles for water can cause you to waste your precious time and energy. Therefore, in case you were wondering whether you could find a comprehensive guide to let you know what to look for in a drinking recipient, now you have found one. Although we will not tell you which item to purchase exactly, we can help you establish which products might be better than others and why. So, read this reliable guide until the end to find out how to get the perfect item that covers your liquid consumption needs. There are so many things to think about when searching for a drinking recipient that you might have never expected to come up during the research. Aside from obvious things like the color preferences, you are also going to need to be prepared to know many other details that could influence your decision. You should know what size you need, what kind of material you prefer and all about the functionality of each type of recipient to ensure that you pick out the best one. If you are uncertain about the answers to any of these questions, keep reading to find out more details on how to choose the best drinking item for yourself or as a gift for someone you love. Sometimes people enjoy things that feature their favorite color the most, while others enjoy customization more. If you are buying this recipient as a gift, you might want to make sure that you know that person’s favorite color or design patterns. This can help you a lot when it comes to offering great presents as everyone loves receiving things that have been specially customized for them. This can include getting a solid colored bottle or a recipient that features a funny pattern that you have chosen for them especially with the purpose of sending them a message. Moreover, most girls adore receiving customized items that feature their initials. It makes them feel special and appreciated. On the other hand, some people have absolutely no preference as to what they want their drinking recipient to look like; they just want a simple water bottle. For those people, it is typically better to focus more on the practicality specifications rather than on their aesthetic value. Making a decision in what concerns the size of the new item can be a daunting task as you may not know how much another person will use the recipient or how much water they usually drink. This decision could also be influenced by other variables such as the activities in which they are usually engaged and whether they do any exercise during the day. To solve this problem, take into consideration what you know about this person. Typically, if someone loves to hike, be healthy and drink lots of fluids or just loves to exercise every day, it is obvious that he/she will need a larger recipient. When someone runs on a regular basis or exercises every day, he/she is going to need way more liquids than someone who does not exercise in order to be properly hydrated. If someone does not engage in active sports too often, a regular 16oz size might be just fine for you to choose. Did you know that certain drinking recipients are not good for your health? Plastic, disposable items have proven to contain a toxic chemical that leaks into the water when the bottle reaches a certain temperature. The way to avoid this is by keeping your recipients cold and away from the sun or any other source of heat. When looking for sustainable, reusable items that are safe to use for your health, you have to make an effort to find non-toxic and BPA free labels mentioned in the best water bottle reviews. These keep the water fresh and safe for everyday use. Another aspect to consider while browsing through the different kinds of materials used for manufacturing these items is the heat. Certain types of recipients are made of special materials that can keep the content ice cold in the heat or hot in a cold environment. These types of items can be considered great gifts as they are extremely versatile and multifunctional as you are able to use them in any season and for any kind of drink. The last important thing to consider when searching for a cool drinking recipient as a gift is the functionality featured by the products that are available for purchase. An important aspect of functionality refers to how easily certain item can be used. The recipients that have a clip for attachment can become great gifts as they can easily attach and detach from a bike or a backpack. Another great aspect to consider is the mouthpiece. Take into consideration whether the mouthpiece is easy to clean and use every day or not. If someone uses this item for several days in a row without washing the mouthpiece, does it have the potential to endanger that person’s health? If so, change your decision and choose something simpler yet safer. Latest drinking items with a straw might be nice sometimes, but they can easily leak and are a hassle to clean at times. On the other hand, those that come equipped with a cap are easy to use clean daily thus keep you safer as far as the hygiene factor is involved.